The BJP parliamentary board will decide on whether to name the chief ministerial candidate for the Bihar assembly polls later this year, party president Amit Shah said here Saturday. 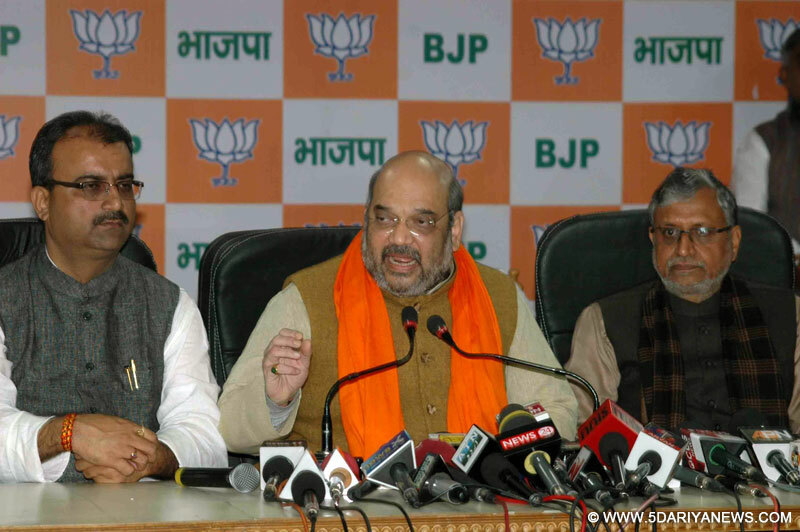 "It is for the BJP parliamentary board to decide whether party will project a face or not as chief ministerial candidate for Bihar assembly polls," Shah told media here when asked who will be the BJP chief ministerial candidate in Bihar assembly polls.Shah downplayed the projection of a leader in Bihar polls unlike projection of Kiran Bedi as chief ministerial candidate for Delhi assembly polls. "This issue will be decided at the time of Bihar assembly polls only," he said. "It is certain that BJP will come to power in Bihar and it is necessary for its governance and development," he said a day after he launched 'Mission Bihar'.He said Prime Minister Narendera Modi's dream is development of not only Bihar but all eastern states in the country. "The BJP in government was responsible for governance and development in the state," he said.Shah attacked the JD-U leader Nitish Kumar for joining hands with the RJD chief Lalu Prasad to counter the BJP.Both Lalu and Nitish were enemies for years but recently joined hands. "An unholy alliance is taking shape in Bihar," Shah said. When asked about the likely emergence of Janata parivar including the RJD and the JD-U in Bihar, Shah said the BJP was not worried of it because the Janata Parivar have been left with parivar only minus people. "People of Bihar will reject Lalu-Nitish merger," he said.Shah reiterated that jungle raj has returned to Bihar after Nitish Kumar joined hands with Lalu Prasad. "The BJP will not allow Bihar to return to jungle-raj," Shah said.Shah arrived here Friday on a two-day visit to take stock of the poll preparations.